International Communist Press (ICP) interviewed Kemal Okuyan, the General Secretary of the Communist Party of Turkey TKP, on recent issues regarding the international communist movement. ICP: Could the international communist movement recover from the serious trauma it suffered after the demise of the Soviet Union? Is there any success for which the movement can take credit in the aftermath of the demise? 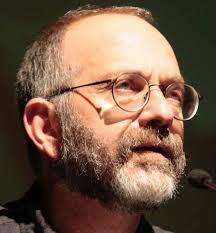 Kemal Okuyan: For the international working-class movement, the cost of the counterrevolution was definitely too high. Even today, we are suffering from the outcomes of this tragedy. But, if your question is about the communist movement or the status of communist parties in particular, we should look at the period before the demise of the Soviet Union. It is highly controversial whether, before the collapse of the Soviet Union, we can talk about an international communist movement that shared common goals or, more importantly, had strong ties with the historical objective that render the title “communist” relevant. Even though the prestige and the authority of the Communist Part of the Soviet Union acted somewhat as a glue, a more careful observation would reveal that neither in 1980s, nor in 1970s the international communist movement had a strategic unity. Besides, this was simply impossible as, for instance, Eurocommunism was not a communist but a social democratic current. Of course, the parties which represent this current cannot be simply reduced to a social democratic deviation; they are the bearers of a colossal historical heritage, yet they assumed a role to shift the communist movement, which had disengaged itself from social democracy right after World War I, to a social democratic ground once again; a role that served to obscure the points of distinction. Eurocommunism is merely an example; we can see a similar problem regarding the communist parties in power, i.e. the communist parties in socialist countries. A common strategy, a common political and ideological line, a common organizational culture was lacking. ICP: Should there be one? KO: A communist party which does not respond to the specificities of a country, which does not belong to the land on which it fights, would simply become a caricature. The struggles being waged in individual countries are tied to the process of world revolution after all, but parties contribute to that process by waging their struggles under specific conditions. Marxism-Leninism is a theory that leaves room to such specificities while maintaining its international character despite them. There is no such thing as “local Marxism”; as there are no “models of socialism”. Marxism-Leninism relies on fundamental premises and a strong goal discipline based on the quest for revolution, not on ready-made blueprints. It is obvious that the conditions of struggle in Germany and Turkey, in the United States and India, or in Spain and Mexico are different, which render different priorities, toolkits, tactics current. But the real strength of Marxism-Leninism is in its ability to put such variety into the perspective of a holistic, universal theory. Turning back to your question, the communist movement must have a common strategy, a common political and ideological line and a common organizational culture in all countries. This is what is revolutionary; this is what we should aim for, historically. And we have been lacking this. ICP: Since when? I mean, when exactly did such sense of collectivity weakened or entirely disappeared? KO: It would be wrong to give an exact date. This is a process which has objective aspects. World communist movement had difficulties in generating a common revolutionary strategy after the substantial revolutionary wave that followed the October Revolution. The task to protect the great achievement, i.e. Soviet Russia, on the one hand, and the retreat of the revolutionary wave, which made its last great leap in Europe in October 1923 in Germany on the other hand forced the Communist International, which had been emphasizing the collectivity in 1919 and trying to break the social democratic hegemony over the working-class movement in the advanced countries of Europe, to make more sophisticated strategic choices. This was, in a sense, an objective situation; yet it was also an outcome of genetic disorders inherited by the communist movement in certain capitalist countries from the Second International. The revolutionary interventions of the Bolsheviks after 1917 to the international working-class movement, for which they employed their political weight as well, did not eliminate but suppressed these genetic disorders. However, as other priorities imposed themselves forcefully, these disorders started to dominate the movement at once. The task to sustain and defend socialism in one country was revolutionary, but it also facilitated the departure of certain parties from the idea of revolution. The same goes for the struggle against fascism as well. Yet, we can say that up until its termination in 1943, the Communist International and the most important party in it, the CPSU, managed to keep the communist parties on a revolutionary footing. Of course, this does not mean that no mistakes were made, which would simply be a metaphysical assessment. ICP: What were these mistakes? Of course, if there is a struggle, there will be mistakes, and what really matter is to take lessons from them. Yet, what were the mistakes that you would like to point out specifically when you look at the history of the Communist International? KO: As you know, after the Great October Revolution the country everybody was gazing on, everybody had great expectations for, was Germany. It is apparent how the triumph of revolution in Germany would have affected the world history. Besides, this was not simply wishful thinking; the German Revolution was underway, perhaps initially with a bourgeois character, but subsequently as a proletarian revolution. It would also be a fallacy to consider the defeat of the German Revolution as inevitable, and to attribute it purely and simply to the mistakes of the leadership of the Communist Party of Germany. However, between late 1918 and late 1923, there were two historical moments in which workers’ power, which had persistently made its presence felt throughout this period, became a particularly strong possibility: Red Army’s campaign to Poland in 1920 and the “German October” of 1923. In 1920, the formula, “Red Army + German proletariat = World Revolution” was quite popular. Today, this may seem a little childish, too romantic to us, but when Red Army launched its campaign towards Warsaw, nothing seemed actually to be able to hamper the union of Russian and German proletariat. All Bolshevik leaders, without exception, were convinced that the world revolution would gain an enormous ground when the reactionary government in Poland was overthrown. It did not happen; the Red Army was unexpectedly defeated at a time when the Provisional Revolutionary Government of Poland led by Felix Dzherzhinsky was making its preparations to take office in Warsaw. ICP: You call it an “unexpected” defeat. Does it imply that unanticipated mistakes were at stake? KO: Even though it is not entirely wrong to attribute the defeat to the unrealistic assessment of class balances in Poland, such analysis would be insufficient. 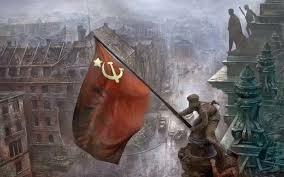 You do not have to be a military expert to realize that Red Army’s military campaign to Poland was managed terribly. Although Stalin was made the scapegoat of the defeat later on, as he was blamed for almost everything else, the feckless and inconsistent conduct of Kamanev, who was in command of the war in general, and Tukhachevsky, who was commanding the Red Army, perhaps prevented the world history to take an entirely different course. These were collective mistakes; nobody could be exempted from them. Nevertheless, one has to admit that Stalin and Budyonny, who could both be held responsible only at second degree as they had missions at different fronts of the Civil War at that point, could not be blamed for the defeat. ICP: So, do you disagree with those who claim that a revolution in Germany in 1923 was impossible? KO: Even a specific date was set in 1923 for the uprising, which was also approved by the Communist International. The Communist Party of Germany got prepared accordingly. Military committees were established, functionaries from Moscow were sent… Hundreds of thousands, even millions of workers, both party members and non-partisans, were waiting for this historical moment. The uprising was cancelled at the last minute for certain reasons, but it took place in Hamburg for this or that reason and had to retreat as it became an isolated incident. Only at that date, it became evident that the German Revolution would not take place. Were there any subjective mistakes up to this point? Of course! The Communist Party of Germany had always been vacillating since 1919, the year it was founded, but despite this fact, it was a revolutionary, a militant party which worked with great sacrifices. Everybody knows how Rosa Luxemburg and Karl Liebknecht were slaughtered; but the assassination of KPD members had become an “ordinary” incident at the time. Despite all oppression, the KPD was a party looking for its revolution, a party in the spirit of the Comintern. KO: The specific objective conditions in Germany also played a part in their failure. However, from our point of view, just as the Russian Revolution was a practical verification of the Leninist conception of vanguard party, German Revolution was a proof of what would happen in case one keeps aloof from that conception. ICP: Was that what the KPD did? KO: When it was founded, the KPD was a party which appreciated factions, a party that eschewed centralization. Despite its militancy and despite all sacrifices it made, these were the key frailties that prevented the party to fulfill its revolutionary mission. And on top of it, there was the fact social democracy could not be enfeebled. This is a long story, but while all these were happening, it was quite unfortunate for the Communist International to have Zinoviev and Radek as the officers who were responsible for Germany at the first degree! On top of the vacillations, the presence of different tendencies among the German party, two prestigious leaders who more often than not make inconsistent, wayward interventions! The reason why I am emphasizing this point is that early 1920s was a period that had a decisive impact on the international communist movement in the following years. This period produced two crucial outcomes: first of all, the Soviet Union, which was declared unviable, managed to live and after a brief respite, she started to make enormous breakthroughs towards the foundation of socialism. And secondly, the German Revolution, which was considered imminent, was defeated. It was very difficult, in fact impossible, to generate a coherent common strategy from these two outcomes. Nevertheless, until the end of World War II, there was a communist movement which was confident, which managed to create common values, and convinced hundreds of millions of poor to the possibility of a different world. ICP: What happened after WWII? KO: This is a period for which you cannot confine yourself to brief answers but let me relentlessly put it this way: revolution was renounced in Western Europe. I do not advocate adventurism and revolutions do not occur as a result of “decisions”. Yet, it is impossible to consider the path chosen by the two “strongest” communist parties in Europe, the French and Italian parties, as a tactical retreat. We have to admit that social democratic maladies, which were suppressed by the Communist International and occasionally mitigated by the revolutionary heritage within these parties, resurfaced, and the Soviet Union was going through a period that did not allow her to take countermeasures against this. Again, I do not intend to make wholesale judgments, but I am talking about the main tendency. The retreat of the idea of socialism in the most important space of class struggle, i.e. in Europe, had generated unfavorable outcomes for the international communist movement all around the world. ICP: I would like to return to my previous question, if I may. Could the international communist movement recover from the trauma? KO: No, in fact, we are somewhat talking about why the trauma could not be overcome. The trauma is not only due to the demise of the Soviet Union. Besides, if there were a communist movement in the world which was loyal to its principles, which adopted its revolutionary heritage wholeheartedly and possessed a common goal, the Soviet Union might not have collapsed. We are talking about the Soviet Union which did not receive sufficient feedback from the revolutionary developments in the world. ICP: Does that prove Trotsky right? KO: Not a chance! Is it possible to say that we renounce the world revolution when we admit the necessity of protecting socialism in one country? After all, the goal to establish communism in the whole world is our raison d’être. This is a hard, uneven, haphazard process. I mean, before the demise of the Soviet Union, there had been no international communist movement which was holistic and focused on a revolutionary target. There were many great achievements, significant positions were taken; can anyone deny all these? But let’s be realistic, the argument of “the actuality of revolution”, which had prevailed, even got stronger in one of the darkest periods of human history, 1930s and 1940s, has made itself apparent in Africa and Latin America in 1960s and 1970s, but not in Europe. It would be cutting corners to attribute this fact only to objective conditions. Sometimes a revolutionary wave might not exist, capitalism may maintain a relative stability, yet the mission of communist parties is to keep the revolutionary choice ready and actual. ICP: Today, communist parties get together once a year. The International Meeting of Communist and Workers’ Parties is probably the most comprehensive effort since the demise of the Soviet Union. What is the significance of these meetings? Is it possible to generate a common strategy from them? KO: It is a great achievement in and of itself to have these meetings regularly for the last 20 years. All parties, first and foremost the Communist Party of Greece, which make an effort and allocate resources to hold these meetings have been serving a significant historical purpose. The continuation of these meetings is crucial for a whole range of reasons: parties which struggle under different conditions get together, listen to each other and adopt a common attitude on certain issues in these meetings. However, it is evident that a common strategy cannot be formed there. This was what these meetings aimed for after all, but under the current circumstances, it would be vain to hope to come out with a common strategy from the meeting of communist parties. ICP: Why not? Are there fundamental differences of opinion? KO: There will be differences of opinion; this is most natural. Besides, we are not chasing the only truth at a certain moment. What really matters is the orientation. Communist parties may sometimes adopt wrong stances, but what is really important is to have a consistent orientation which may correct, compensate for such mistakes. There is no need to hide it; we do not have a common orientation among communist parties in the world today. ICP: What are the major differences in orientation? Is it possible to formulate different political lines? KO: There is not much ground for making a black-and-white classification. Many parties have ongoing internal controversies, or we may observe such cases that a particular party may change in this or that direction. Of course, there are also parties which have made up their minds in historical terms and thus represent a particular stance in this respect. In essence, we see two fundamental approaches here: some parties consider socialism as an ultimate, not an actual goal, and identify other priorities as their strategic objectives, which may in some cases be independence, peace, democracy, downgrading the U.S. hegemony, or in others, the quest to build a secular society. Other parties highlight the actuality of socialism, rejecting the so-called preliminary stages before the socialist revolution. Naturally, this fundamental difference reflects itself upon almost all issues; for instance, significant differences in alliance policies emerge. As I said, intermediate variants are also available. ICP: Did such differences not occur during the Soviet era? KO: Of course, they did, but frankly, the more prevalent tendency after World War II was to withdraw the goal of socialist revolution. It is safe to say that this impaired the international movement. ICP: Was the Communist Party of the Soviet Union at the root of this choice? KO: Partly. But I do not intend to hold the Soviet Union responsible for international communist movement’s failure to shake off the effect of the Second International entirely. At this point, a historical fact is at stake. ICP: Is it possible to say that certain parties dominate the international communist movement today? KO: Naturally, there are communist parties which have a significant impact. If you are waging a real political struggle, if you are engaged in theoretical and political work, if you are capable of allocating resources to international relations, there is nothing more natural than having such a weight. However, none of the communist parties which can be considered as actual political parties could simply follow suit. We have taken our lessons from the past. In this respect, the most important criterion today in international meetings is the equality between parties and non-interference in internal affairs. ICP: But isn’t there a distinction between large and small parties? KO: What are the criteria of making a distinction between large and small parties? Election results? This is illusory more often than not. Being a parliamentary party might mean a revolutionary achievement but not always necessarily. It might be an outcome of a reformist tendency. Taking the electoral results as the basic parameter to value a communist party is something alien to Marxism. The country’s position in the imperialist world? In our opinion, the criteria are straightforward: does the party in question employ its potentials for the fight for socialism effectively; is it loyal to the fundamental principles of Marxism-Leninism; does it maintain and reinforce its working-class character? Apart from these, there is no such thing as large and small parties. ICP: What about the parties in power? KO: The position of communist parties in power is rather complicated. Undoubtedly, to a certain extent, considering the current global conditions, we may question their priorities in foreign policy, their economic policies, social objectives, etc. There may be discussions, criticisms. This is another matter… Yet, the real problem is to have the foreign policy requirements of communist parties in power to overshadow the international communist movement. This would be unacceptable; none of the revolutionary communist parties would accept that. ICP: Is there such an intention? KO: Even though there is no such intention, there is such an objective situation. I regretfully have to admit that today, geostrategic calculations have substituted the requirements of the world revolutionary process. Regardless of the disadvantages of the balance of power that exists today in relation to the working class, communist parties would never allow themselves to be absorbed in the tides of foreign affairs. Maintaining the class perspective is essential for communist parties. Whenever we lose sight of it, we are doomed to make mistakes. 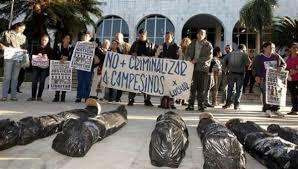 ICP: You have close relations with the Communist Party of Cuba, which has been a ruling party for a long time. Have you ever experienced any impositions on or any desire to provide guidance to your party? KO: Absolutely not! We have established our relations with the Communist Party of Cuba when we were a rather small political organization. We used to have the same strategic orientation back then with the one we have today. The actuality of socialism, the rejection of stages in the process of socialist revolution, etc. We have never heard the Communist Party of Cuba questioning or even implying to question our strategic preferences. They have always tried to understand. In fact, it is us who have frequently asked them why they are pursuing particular policies and they have always responded our inquiries very maturely. We may talk in respect of our own experience, and no, the Communist Party of Cuba always adopted a revolutionary stance in its relations with the TKP. This does not necessarily imply that they agree with all our positions. On the other hand I can tell you this: we have always respected and understood Cuba’s preferences in foreign policy. But I should add that, in an isolated manner, countries like Cuba may make only limited gains in the construction of socialism. It is not merely their task, but in the final analysis, a new spurt in the world revolutionary process is also in the interest of Cubans. Besides that, ruling parties cannot determine the tempo, the objectives and the instruments of struggles waged in capitalist countries. ICP: What can you tell us about your relations with the Communist Party of Greece? The TKP and the KKE have ramped up their collaboration in recent years. Certain circles have the impression that the TKP is under the influence of the KKE. KO: We have been maintaining a relationship with the Communist Party of Greece which can be called exemplary. For sure, the neighborhood of two countries, the shared history and cultural similarities have a lot to do with this. You may add the obligation to act together against the hostilities provoked by the capitalist classes of both countries and by imperialism in general. Yet, what is really characteristic in our relations with the KKE is that both parties act upon the same set of priorities in terms of the strategic issues of the struggle for socialism and our perspective on the history of the communist movement. These shared points were already given; we used to perceive class struggles from the same perspective before the relations between our parties have reached to such an advanced level. In fact, this was exactly what caused our relations to develop; otherwise, no one is trailing behind the other. Besides, we do not say the same thing on all issues, we do not always act in the same manner. Then again, two countries also have major differences apart from their similarities. Nevertheless, communist parties learn from each other, they ask questions to, try to understand each other. We have eliminated protocols, the diplomacy in our relations; we built a fraternal, comradely relationship based on mutual respect. Yes, we learn from the rich fighting experience, the achievements within the working-class movement, the party culture of the KKE, and we have no complaints about this. I am not in a position to talk on their behalf, but I am sure that they also had a lot to learn from the TKP. If your question implies some sort of “trailing behind the KKE”, this is not even a matter of discussion. Both the KKE and the TKP are parties which have taken lessons from the past. Our lexicon includes solidarity, helping each other, criticism, understanding, comradeship, struggling together, but not allegiance, favoritism, or building sects. Besides, it is ridiculous to think that the KKE, which has so many responsibilities to take care of, to take the responsibility of other parties. We play our own games, yet we act and think together on certain platforms to advance the world revolutionary process, which is our common mission. That’s all. And we also carry this advanced form of relationship into effect with other parties as well. We respect each and every party which support the struggle for socialism; they are our comrades. ICP: I would like to return to the previous issue; you mentioned examples in which class perspective have been lost. Can you give us more specific examples? KO: I may give you an example that concerns Turkey particularly. Erdogan and his party came to power in 2002 with the open support of the United States and the European Union, more precisely with the support of international monopolies. And what were the arguments they asserted? Turkey was not a democratic country, the army called the shots, Kurds were being persecuted, and Erdogan could change all these… All those said about Turkey were true, but this was nothing less than justifying the invasion of Iraq using Saddam as a pretext! The TKP tried to warn communist parties about Erdogan as much as it can at the time, but frankly, Erdogan was supported either implicitly or explicitly by those who say “democracy first” since only a few people in Europe believed that the struggle for socialism is viable in Turkey. Above all, as the perspective of some parties regarding the Kurdish issue drifted widely apart from Marxism, they tended to have a lot of sympathy for Erdogan. Back then, they perceived Erdogan as the man who would resolve the Kurdish issue. The TKP, on the other hand, was being harshly criticized as it claimed that “capitalism is incapable of solving any fundamental problems”. And in Turkey, the TKP was almost blamed for promoting fascism because of its “obdurate stance” against the AKP. Now, after 16 years, the TKP is being criticized once again for not taking part in the coalition against Erdogan which includes an offshoot of fascism, several Islamist movements, social democrats, and the liberal left. All this mess is the result of drifting away from the class perspective. KO: This weird argument has a tragicomic story behind it. Since 2006-2007, in order to translate the regional ambitions of Turkish bourgeoisie into foreign policies, Erdogan and his party took pains to get a part in the regional projects of the United States on the one hand, and to gain prestige in the Arab world on the other. Political tensions maintained before the international public opinion through an anti-Western and anti-Israeli rhetoric served to this end. They even went further and told that they would “expel NATO from the region” in their high-level contacts with the officials of countries which have problems with the U.S. This demagogy played well into their hands not only in the Arab world, but also in Latin America; what is worse, even some communist parties began to see Erdogan as an anti-imperialist leader. There is a great, a gross mistake in this assumption, and at the root of this mistake, there lies the illusion to perceive “international relations” as a special domain. Believing that a bourgeois politician may assume a “positive” role in international relations regardless of his role in his own country is a political myth which always spell trouble. When those who see Erdogan as a “comrade” realized the role he assumed in Syria, the damage was already done. ICP: I am talking about today. There are people of influence who perceive Erdogan as an anti-imperialist leader. KO: If you see life through the eyes of the Russian elite, through the eyes of Putin, you may think so. With all due respect, the meaning of the ruling party in Turkey, its class character, does not change when it lends itself to this or that camp in international relations, when certain shifts in alliance systems occur or when it makes certain maneuvers as a bargaining chip. Moreover, I have to remind you that Erdoğan is not breaking away from the NATO; he is simply negotiating with it so as to make a more “advantageous” deal. Those who support Erdoğan today will be furious once again when this negotiation is over. The communist movement should not allow such reasoning to penetrate into its ranks. ICP: You mentioned Syria. Is it possible to say that a similar mistake was made in the course of the so-called Arab Spring? KO: Of course, it is! No one should deny the rage of toiling masses against poverty and corruption during the Arab Spring; it was just and legitimate. However, it was clear since the very beginning that the rage which poured into the streets was being manipulated by imperialist centers, and there was no revolution whatsoever at all. Unfortunately, some of the analyses made during the initial phases of the Arab Spring in the name of our communist movement were unbelievable. They are now forgotten, but as long as the class perspective is abandoned, as long as so-called solutions and polarizations within capitalism become the main political agenda of communists, nothing but fresh mistakes will be ahead of us. ICP: Does this imply further dividedness? KO: Not exactly. Communist parties may take strategically opposing stances, which would render divisions inevitable. But currently, the loose integrity (which is in fact the present situation) should be maintained; discussion, exchange of ideas and opinions, transfer of experiences and solidarity should continue. Moreover, we shall keep in mind that political parties have a dynamic character and undergo certain transformations. Yet other parties have a stance on paper, but it is hard to say that they are engaged in actual political work. The principle of egalitarianism and non-interference should prevail at this juncture. However, there is a difference between non-interference to internal affairs and lending credence to a kind of self-righteousness such as “I know what is going on in my country the best”. There is no such thing; such an approach explicitly involves metaphysics. We have to discuss respectfully, criticize each other, learn to listen each other. Parties which are closer to each other are already getting together on several platforms. There are such entities in Latin America, there is the Party of the European Left, etc. The TKP also takes part in the European Communist Initiative and the International Communist Review. But this does not constitute an impediment for us to establish bilateral relations with other parties, or to get in contact on other platforms. The coming period will be difficult, but everything will be better.